Skin lost its bounce? Then we need you to test drive La Roche-Posay Substiane [+] Serum! Sound like something your skin is desperate for? Then we need you to test it out for us! We're looking for 4 outspoken Canadian Beauty Crazed readers with mature and sensitive skin who would like to try out a 3-step La Roche-Posay skin care routine including: Physiological Foaming Water, Substiane [+] Serum and Anthelios Ultra-Fluid SPF 60 and then tell us what you think of them! 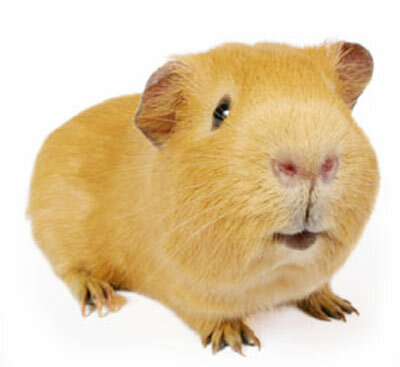 It's easy peasy to get in on this - just leave a comment letting us know that you want to be a La Roche-Posay guinea pig and that you are willing to try the products and send back your thoughts on them back to us 2 weeks after receiving the products. Once you leave your comment, send us an e-mail at info@beautycrazed.ca with your full name and address, if you would also include your age and any skin concerns you have that you think make you a better guinea pig then everyone else that would be helpful. You have until May 7th to enter at which time we will pick 4 readers who are enthusiastic about the trial and giving us the scoop! I would love to be a guinea pig please - I have mature and sensitive skin! I'm also old enough to remember Hammy Hamster on TVO when I saw the pic! How timely! I just had my 43 birthday less than 2 weeks ago and let me tell you, I've witnessed a huge loss of volume in my face! I would LOVE to be your guinea pig and would be thrilled to test drive the 3-step La Roche-Posay skin care rountine! The fact the La Roche-Posay Substiane [+] Serum non-greasy and gel based is awesome because as a daily makeup wearer I need something that will melt into my skin which won't leave me greasy. I've sent my email also! I would love to be a guinea pig for you and La Roche Posay! Email sent - kristicrabtree at hotmail dot com. Thanks! Sign me up please! I'm 48 with lost volume and definitely have sensitive skin so I'd love to be a guinea pig. I would love to be chosen as the La Roche Posay guinea pig! I have used a few of their high quality skin care products in the past, and would love to try these items and send back my thoughts after 2 weeks to you. I a a bit of a skin care addict, so this is right up my alley. I am almost 53, and have typical post menopausal skin concerns, that include sagging, loss of volume (cheek area) and combination skin that easily becomes dehydrated. I'd love to try this out. I have always had dry and sensitive skin but since hitting my mid 40s, I'm finding it, unfortunately, is becoming "older" skin too.